“All this area was once under the sea, you know” — old famous greeting, familiar to any geologist. Dawn on the levels. Running across a grey, cool morning, stepping slow behind the heels of winter. And today, for once, that quote is really true. A plan formed deep in the forests of night. To run from Rye to meet the sea. I trot out from the hotel and head up the cobbled street. Beside the half-timbered merchants’ houses on Church Square, past The Flushing Inn and the old sweet shop, through Landgate’s arch and down to The Strand. And that’s where the uncertainty begins. A channel lies in front of me, and the flat far horizon ahead. But which way should I run? Does the river flow east or west to the coast? The mist is lifting around me, but at this early hour it still floats thick in my mind. I stand on the bridge and watch the tidal flow. No clues. Finally I see it. With masts taller than the span, the ships can sail only one way. And across the river, a footpath forges over the fields, so I follow towards Camber Sands and the sea. Perhaps my confusion isn’t so surprising. Because the sea lies far out of sight, and this river once flowed the other way. 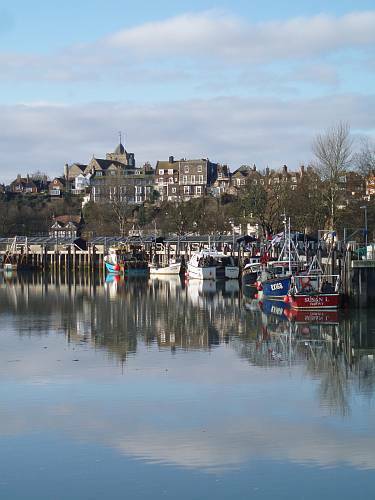 For a thousand years, there’s been a harbour here at Rye. 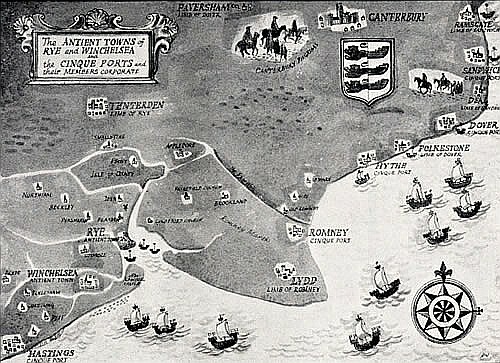 One of two Antient Towns linked to the five famous Cinque Ports, for centuries Rye (originally Atter Ie — or On the Island) was a bustling port at a safe anchorage beside the River Rother. Trade with France and Flanders brought wealth through the Middle Ages, with pirate raids and fear of invasion, too. The town was often attacked by the French, and strong walls and guns were put in place to protect the port. But gradually, the coastline changed. The river mouth at Romney to the east was blocked. 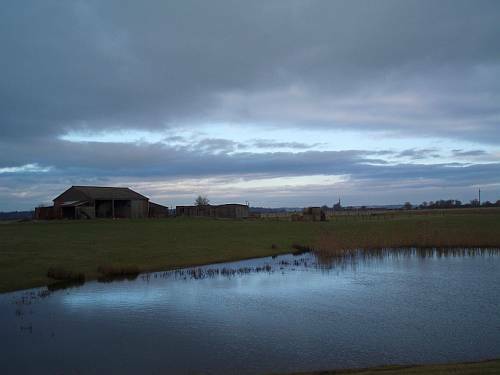 To the south, the old town of Winchelsea (Gwent Chesel Ie — Shingle Marsh Island) was washed away by a storm in 1287, and rebuilt much further inland. 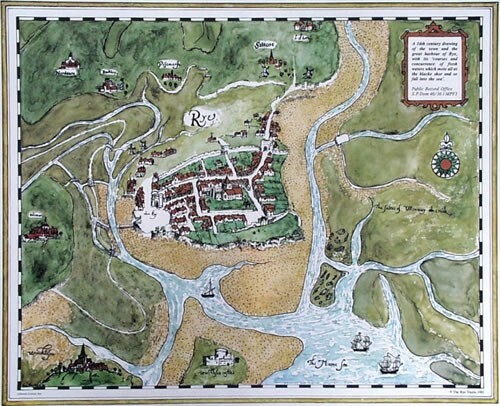 By Tudor times, Rye’s river flowed southwards to the sea. Trade continued to grow, but silting of the channel caused endless problems. Finally a new harbour was built a mile south of town. Over time, the marshes were enclosed by dykes and drainage ditches, and as the ‘innings’ grew, crops and farms appeared. Eventually the new harbour was a mile from the sea. Under a lightening sky now, my footsteps have joined a cycle path and a road. The river disappears behind a wall of sand dunes to my right and the path veers left of three flags and a field. Faintly I recognise Rye Golf Club — a classic links where the student golfer inside me played once, a long time ago. The fairways run parallel to the dunes, and I do the same. I ask a runner plodding the other way how much further to Camber. Ten minutes more. I’m late for breakfast now, but it seems near enough. A pair of par fours hack by before Camber arrives. A line of cottages first, then a park. Finally a path for the dunes, through buckthorn and marram and threaded straight for the sky. Two steps up, and half a step down — that’s how it goes across the sand. Suddenly I’m at the top, and a wide view of the coast shouts out with its secret. Rye Harbour’s channel cuts a geological dividing line right through this coast. To the west lies the shingle of Winchelsea Beach — chert and quartzite pebbles from the chalk and sandstone cliffs of Sussex. East and in front lies nothing but sand, eroded from the Weald Basin and brought here by the river. In the last 350 years, waves and the wind have built a new beach and these high sandhills above. I turn around and bound down the dunes. Then I kick heels and set course across the levels for Rye. Three miles of marsh bring me back to the island. Sand, storms and shingle falling further behind me. Geology and sedimentology have made history here, but now breakfast falls much more firmly in mind. 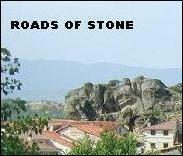 This entry was posted in 2009, geology, history, Surrey and Sussex, winter. Bookmark the permalink. Thank you, Silver Fox. Of all the things that amazed me when researching this post, somehow it wasn’t the retreat of the coast by almost three miles over one thousand years, or even the destruction and disappearance of an established English town and port under several kilometres of sea. Nor was it the development of a massive and laterally extensive entirely new dune system some 5km long and over 10m high, all within less than four centuries. These sand dunes are still growing today if partially limited by the road and the village of Camber behind them. Like much of the British coastline, the English Channel has an extreme tidal range of around 5m. In combination with a southeast-facing shoreface and prevailing southwesterly winds, the scope for sediment movement through longshore drift, erosion and redeposition is huge. 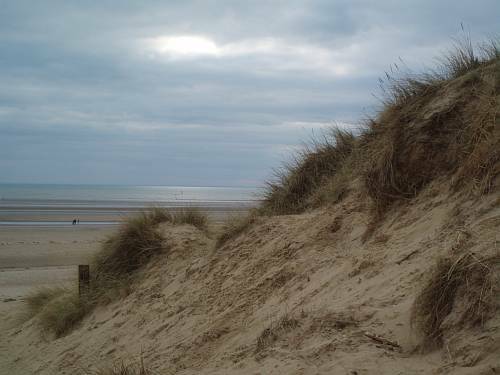 To the east of Camber Sands lies Dungeness — a vast headland wilderness of shingle which juts out into the English Channel. It’s clearly visible on the old map of the Cinque Ports above as a promontory sticking out into the sea. The Romney Marshes, one of the largest and most important wetlands in Britain and an easterly extension of the Rye levels, lies right behind it. A process of spit migration here closed off the Romney harbour entrance in the Middle Ages, leading to diversion of the River Rother and most likely indirectly leading to the destruction of Winchelsea on its shingle bank to the south. That’s all very intriguing, illustrating the extreme lateral mobility of the coastline in this most remote part of southern England. And it’s just that little bit more worrying when you realise that the remoteness of Dungeness, and not its geological stability, was the reason for siting Dungeness nuclear power station just a few kilometres to the east. That’s not the kind of structure you’d really like to see built on a shifting bar of shingle. But that’s exactly what has happened. No photo of Lamb House? Ah, thanks, Ella. 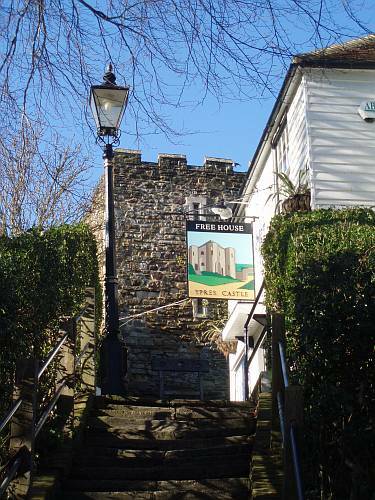 As you say, Rye is the alter ego of the fortified hilltop town of Tilling in EF Benson’s novels about Mapp and Lucia. 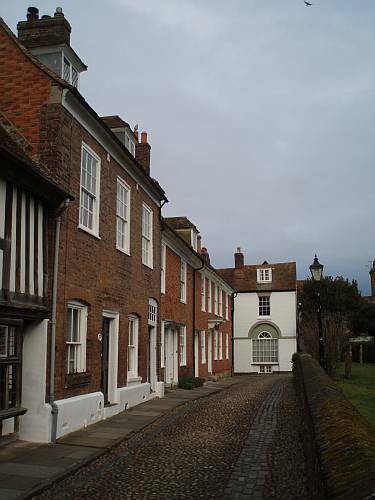 Here are some scenes from EF Benson’s novels as set in Rye. Sad to say that I didn’t spend a lot of time seeking out Lamb House. Mermaid Street looked distinctly uphill at the point when breakfast called. It’s good to leave something to see in my next visit. For those interested in exploring the scenery of the levels on foot, coincidentally The Independent featured a similar route along the opposite bank of the river from the path I followed, and you can find it here: The sands of time have left Rye high and dry. Wonderful links, thank you. I didn’t know the garden room at Lamb House was bombed during the war; it was such an important setting in the Tilling books and I believe it was in that room that Benson once said, “This is Miss Mapp’s garden room and I am Miss Mapp.” Perhaps “house” was what he said in place of “garden room” but still. I actually created a dish called Lucia and Georgie Chicken, which has been on my blog for some time. Georgie and Lucia loved dropping Italian words (some made up) and phrases, using just enough to make it seem they could speak Italian when they could not. My dish uses just enough Italian ingredients but of course it’s not Italian. I also have a raspberry fool, a direct result of the earlier Riseholme/Broadway Lucia books. Will I go to hell for enjoying Lucia more than Hamlet? Thanks, Ella. I don’t think you’ll go to hell for enjoying Lucia more than Hamlet — not for one moment — because ‘enjoyment’ and Hamlet aren’t really words for the same sentence. Raspberry fool? Did I hear whispers of panna cotta? I’m hungry already. Now I’ll be thinking about panna cotta for the rest of the day. I’d forgotten about Wanda even existing. Haven’t seen it in ages and I really enjoyed it. That’s fine, Ella. I spend a lot of time thinking about panna cotta. I’d love to have seen Ralph Fiennes in Hamlet — the first time I saw the play was with Ben Kingsley (then still unknown) in the lead role at Stratford. David Tennant (aka Dr Who) has just finished an RSC winter season as the Prince of Denmark, selling the place out to critical acclaim — and a film version of this finest Hamlet of a generation is now in the offing. 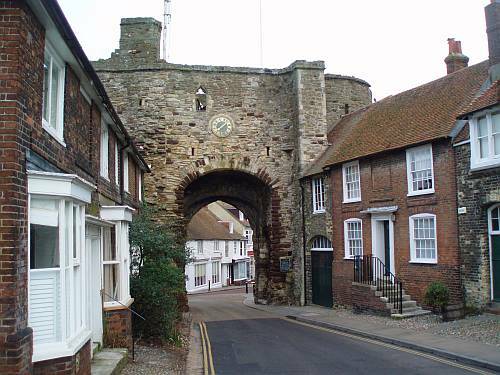 Just for interest, perhaps you should have mentioned that some of Bob Marley’s Marley ancestors came from Rye.